To meet the precise needs and requirements of our patrons, we manufacture, export and supply the premium quality of Urinal Cleaning. Precisely processed by using latest machinery, the rendered WC urinal cleaning is used for cleaning urinals and toilets. 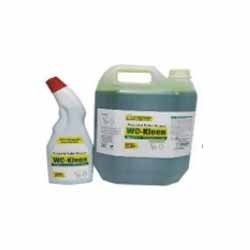 The rendered WC urinal cleaning maintains high hygiene level urinals. Established in the year 2010, Conmed Devices Pvt. Ltd. are importing, exporting, distributing and supplying a broad range of Hygiene and Sanitization Products. Offered products include Automatic Hand Sanitizer Dispenser, Manual Soap Dispenser and Automatic Air Freshener Dispenser. Our offered collection of these products is made from the best quality material as per the set industry rules. Apart from this, we are offering these products at most reasonable price range. These products are used in various sectors such as Hospitals, Pharmaceutical, Food processing, Real estate, Research lab and Glass industry.